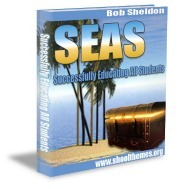 Using school themes you can address various student learning styles in interesting ways. Although every student has their own approach to mastering material and organizing projects, themes can help you explain the details in creative ways. There are three basic learning styles. Some people learn best by reading the written word. Things just make more sense to them if they see it in writing. The second group of students learns best through touch, such as in a chemistry laboratory. And a third learning style is by hearing information. These are brief, high level explanations only. The major point is the recognition there is no single "one size fits all" learning style. Teachers are aware of the various learning dependencies and adjust their presentations accordingly. Some of their students are visual learners, some get it best by reading and some just have to reach out and touch things. Teachers are professionals who spend a lot of time preparing lesson plans and creating interesting learning activities. Themes can help make their job easier because the wheel does not have to be reinvented every time new material is introduced. If you have ever seen a student attempting to learn material while talking out loud, it's safe to assume that person learns best through hearing the information. It's not uncommon to witness students reading out loud - but at a low volume so they don't bother others or embarrass themselves. Some students need visuals and others need the ability to touch something that reinforces what they're learning. It is impossible to teach every subject in a "single way" that fully satisfies each student's learning style. The different thought processes each student experiences is key to their learning potential and ultimate success. To some degree all students learn by sight, hearing and touch, but over time they develop dependencies... A natural inclination to adopt a certain style that is most efficient for them. In fact, if we remove their preferred style, learning is diminished and often difficult. Schoolyear themes can help teachers present activities or projects in ways that help students relate to and remember information. Thought processes in young children especially, can be disjointed and disorganized... so early adoption of organized presentations is beneficial to all students. 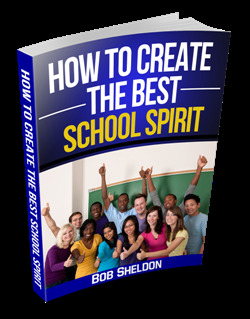 Schoolyear themes also benefit school administrators for similar reasons. School rules and policies, spirit activities, school productions and school fundraisers all lend themselves to the use of school year themes. True learning is about much more than just memorizing and repeating material. Every school wants to teach their children how to think and act in productive, responsible ways. This means having the ability to process information all the way through to good decision-making. We all had to learn how to think things through to arrive at a satisfying conclusion. School year themes can assist in this process by having a unifying topic that students can talk about and learn from throughout the entire school year. And let's not forget to have some fun. School year themes used in creative ways can be a reminder that learning does not have to be serious all the time. Education can be fun too. 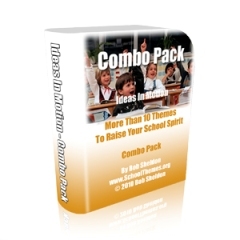 There are many school year themes to choose from and there’s bound to be one or more perfect for your school and your students. Leave School Year Themes and Get Your School Theme!